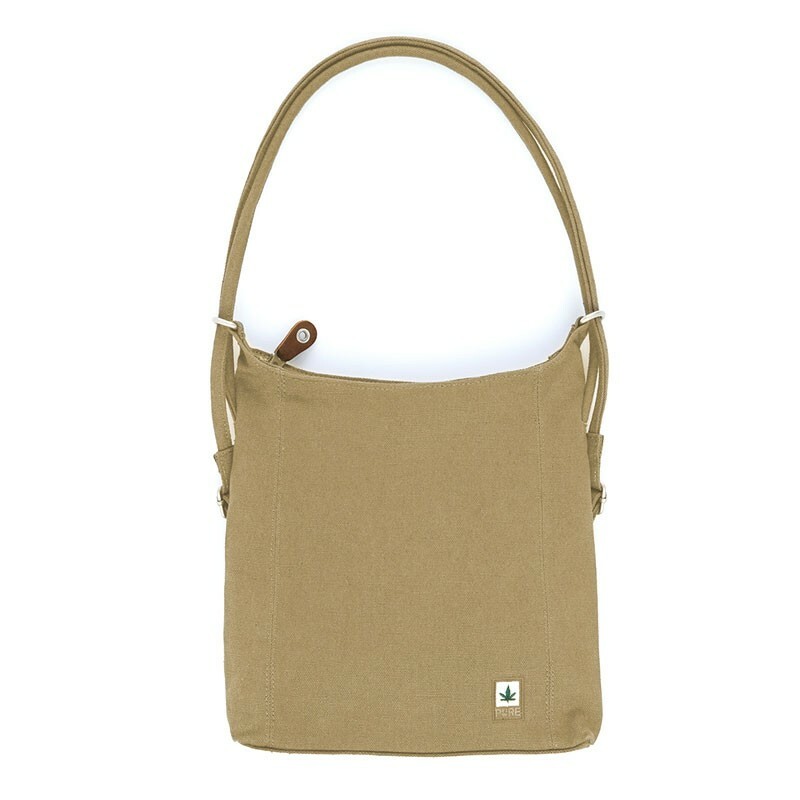 This shoulder bag has a large main compartment with zipper. Materials: 55% hemp, 45% organic cotton, leather inserts. Different colors: Black, Khaki. This shoulder bag has a large main compartment with zipper. Inside there is a zippered compartment, on the back there is a pocket with vertical zip closure. It can be worn as a backpack, by passing the rope through the metal rings. Measures: height 27 cm, width 24 cm, depth 5 cm.